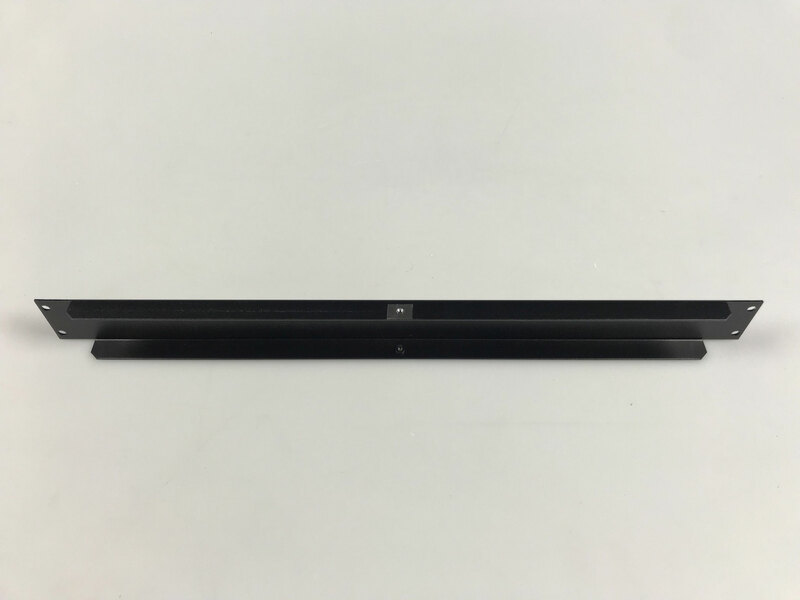 The NRG-Case is the most flexible 19" enclosure system. More space for your stuff! 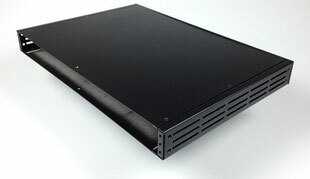 These enclosures have the most possible height and width for 19" enclosures available on the market. It's save! Universal Ground Lugs at the rear part of the side panel... or just turn the side panel by 180° if you need them at the front. It's flexible! 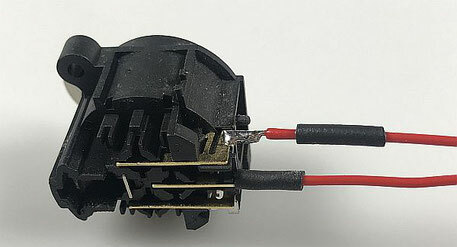 Fix pcbs to mounting bars without drilling holes yourselfs, use the slots at the sidepanels to fix transformers or psu pcbs. Custamizable! 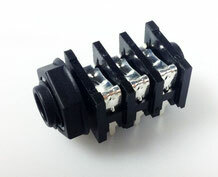 You can get holes, countersinks, threads, text at any position on the front, rear, top and bottom panels. Options, options, options! Handles, Brackets and mounting bars, ready made mono or stereo rearpanels, xlrs and iec connectors..
19" Enclosures from 1U to 20U available. We can make any custom rearpanels. No Minimum order quantity! We make rearpanels starting from ONE piece to hundreds. Some picture of the rearpanel.. The rearpanels are bended 90° at the top and bottom for better stability. There are threads to fix the top and bottom panel with the rearpanel. Alternatively we can make any other typ of rearpanel. 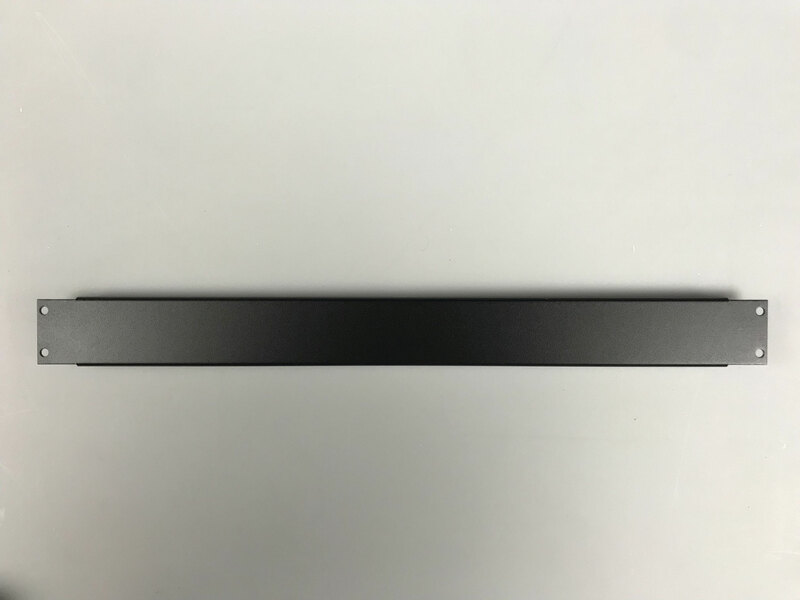 Different material thickness from 2-4mm, different colours. Additional brackets will fix the 3mm rearpanel to the top and bottom cover. 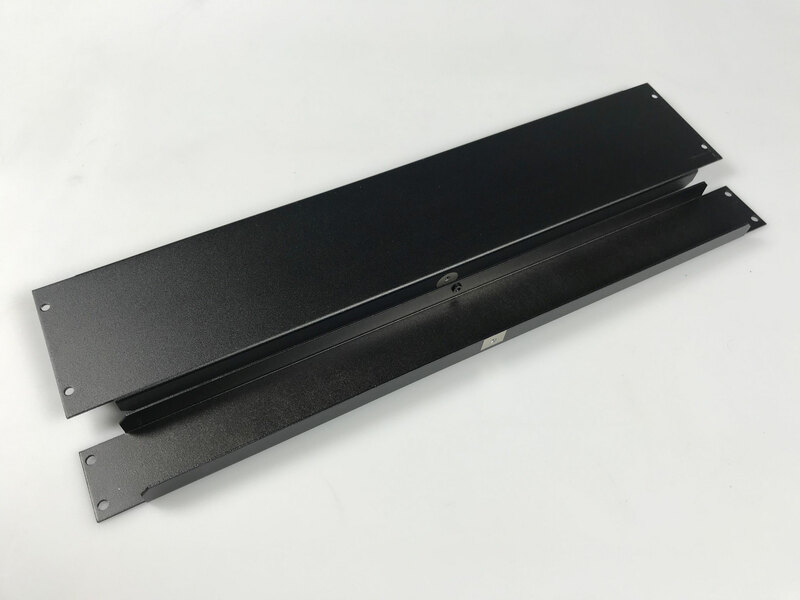 This rail can be used for a stabilisation (if needed) of the enclosure. 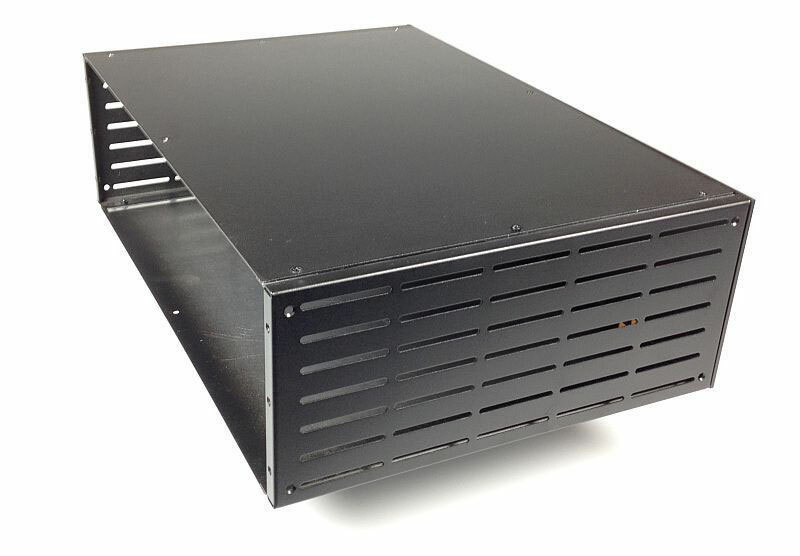 The top and/or bottom cover can be fixed with the front or rearpanel to get a very strong enclosure. You can even put computer monitors on top of the enclosure with no problems. You can also use the rail to make an API500/51X Rack with a 3Z enclosure as these rails have the holes for the modules at the right position. 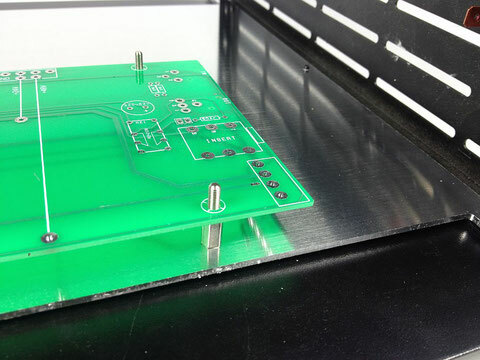 These rails can also be useful to fix pcbs at the inside of the enclosure so you don't need to drill holes and you can remove the bottom cover to get full access to the pcb without unscrewing the pcb. These brackets can be fixed at the top and/or the rearpanel. 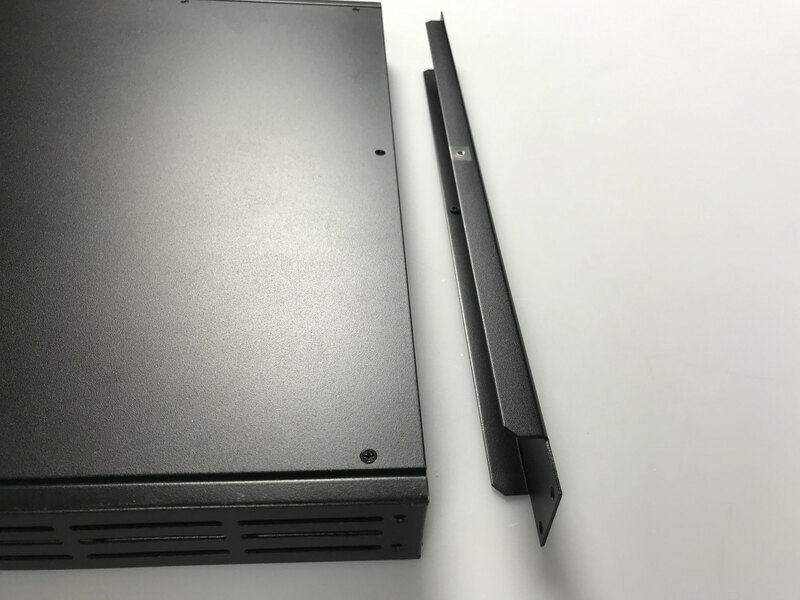 These brackets can make the enclosure even stronger because of the additional connection between the front/rear panel with the enclosure top/bottom cover. 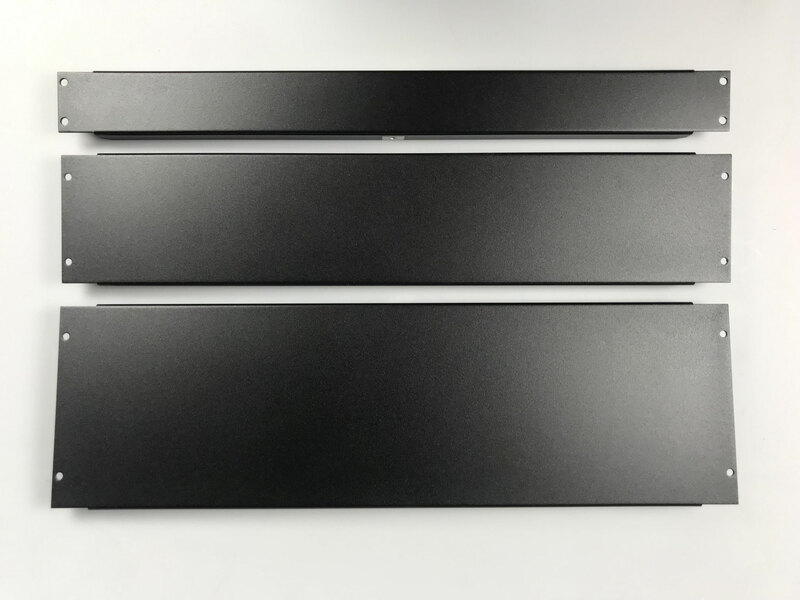 Info: Our standard rearpanels already has threads to fix the top and bottom cover with the rearpanel. 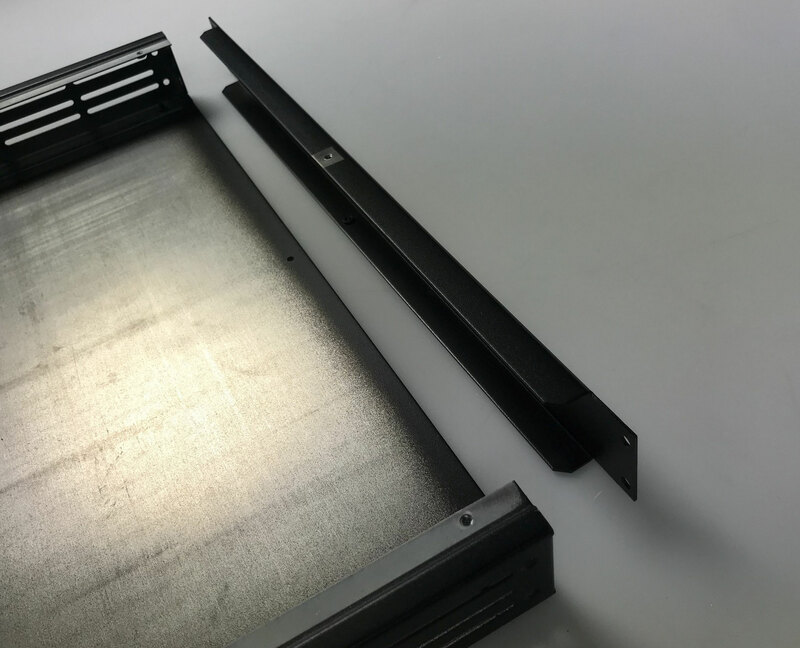 These brackets can be used to fix the frontpanel with the top/bottom cover, or if you want to have a 3mm rearpanel which comes without the possibilty to fix the 3mm rearpanel with the top/bottom cover... then you can add these brackets. 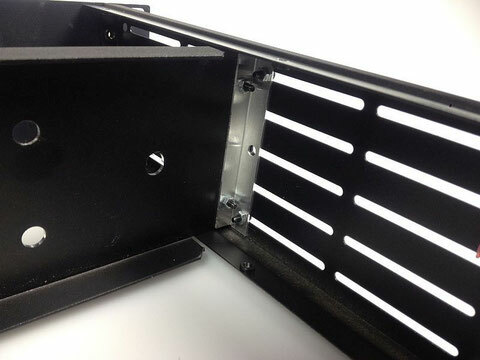 With these brackets you can fix the rearpanel to any position you want at the inside of the enclosure. 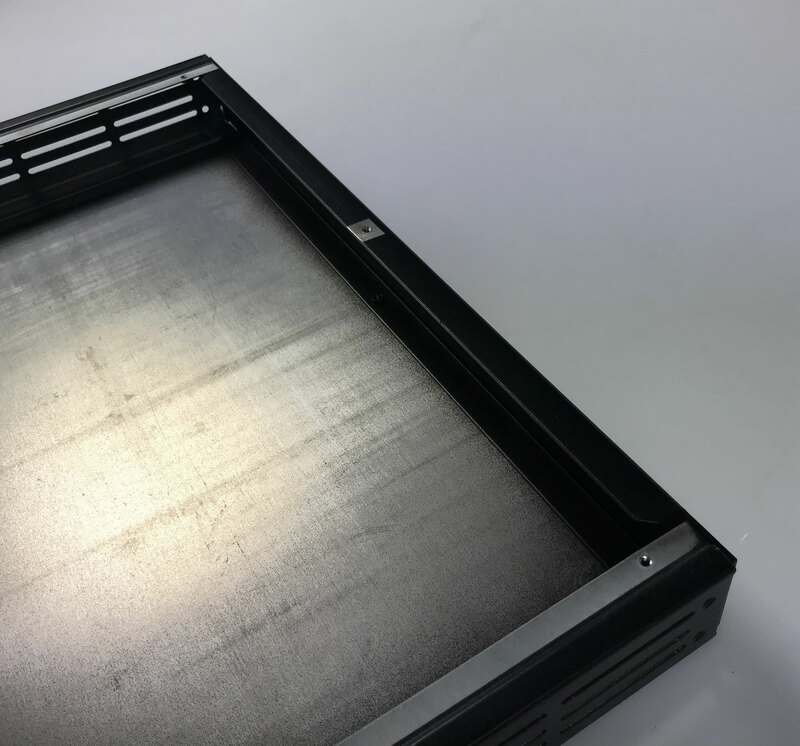 So the additional panel can be used to fix transformer, tube sockets, pcbs, potentiometers or switches which can't or shouldn't be fixed to the frontpanel. 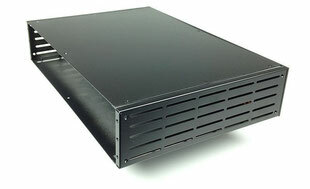 This is an additional "bottom" panel which can be fixed right above the enclosure bottom . 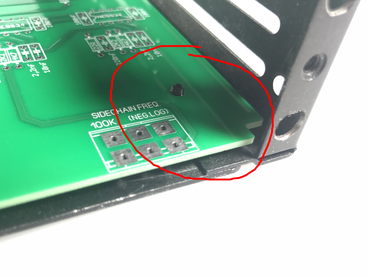 If you're about to design your own pcb then you can use the existing screws (which fixes the bottom panel to the side panels) to fix your pcbs. More infos are shown in the pdf document below. which NEVE uses since dacades.